If you don’t want to miss any detail about the second season of FUT Champions, you are in the right place. 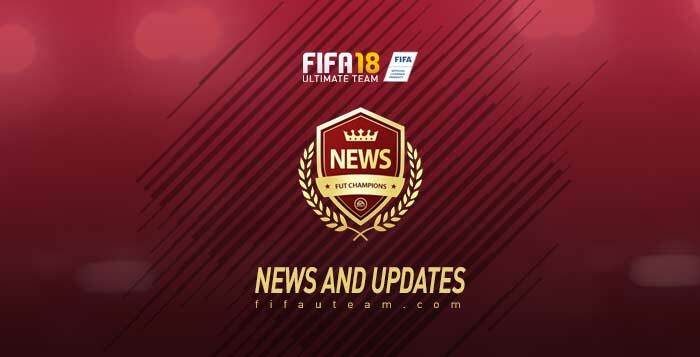 In this page, you will find all FUT Champions News and Updates for FIFA 18 Ultimate Team, including rewards changes, the best players of the month, calendar updates, release dates of the rewards, weekend league news and much more. If you plan to play this game mode, then you need to bookmark this page: this is your only stop to know everything about what’s going on FUT Champions for FIFA 18. XBox One and PC Origin. You can check yourself in-game the new expiration time or you can simply check our updated calendar. FUT Champions rewards of Silver 2 and above will now grant access to the next Weekend League. The new number of wins required to gain the qualification reward will be 11 wins and above. By moving the benchmark to Silver 2, we will grow the overall size of the weekend league slightly and enable an earlier stop-point for players wanting to earn requalification. The stats show that a high percentage of players will find themselves qualified to the next Weekend League after 20-23 games and many much faster than that. This change retains the structure we have in place to find the best FUT players in the world, while keeping competitive play available and accessible for all FUT players. VfL MegaBit1848 won all the 160 matches of November. On Playstation 4, two players did the same: xShellzz and EpokSnusFC. Ultimate’s Corentin Thuillier was, for the first time ever, the Playstation 4 player with more wins in the month. MSdossary7 was the October’s winner on XBox One. The third game update disabled the FIFA Trainer within FUT Champions. FUT Champions Weekly Rewards were slightly delayed on all platforms: 15 minutes for XBox One and PC; three hours later for who plays on Playstation 4. FUT Champions Weekend League has been extended. Please see in-game for the new expiry time. The Weekend League schedule of the first round was officially announced. From September 21 to October 6, you will have seven qualification tournaments to play. Five will last two days while two other will replace the weekend league of the first two weekends. Most of them don’t have any entry requirement. This way, there will be four rounds to be played in October. You can check the schedule, including rewards and entry requirements, clicking here. The FUT Champions rewards for the first round will be the same ones of when it started on FIFA 17. You can see here the complete list of rewards you can get. According to the Beta, we shouldn’t expect many changes to FUT Champions this year. Except for the graphics, everything else should stay untouched. You still have to play 40 matches in every round and the rewards are the same one that were delivered in the first season. Here are a few images of what you will find in a few weeks. 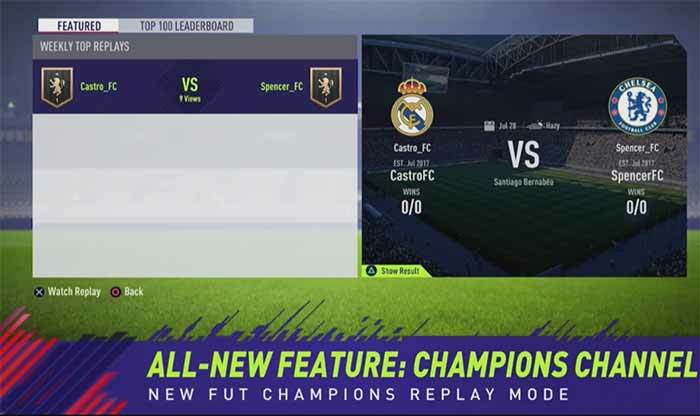 Electronic Arts announced, on the FUT Live event, a new feature called Champions Channel, where you can watch full match replays from the top players in the world competing in the weekend league. Control playback and cameras through matches of your favourite pro players to learn how they play and raise your game. FUT Champions Season 2 was officially announced. EA Sports have announced via an in-game message that FUT Champions is officially ending its first-ever season on September 4, after 43 weeks of competition. More important than that, they also announced that the new season will be released as soon as FIFA 18 goes out.